Muay Thai at Heart. Fitness Fanatics. Foodies. Champions in and out of the ring. Krudar is about digging deep and finding your inner champ​. Its about marching forth in the face an adversity and finding out what you are really made. You are stronger than you think, let us show you. ​Established in 2002, we've been in the game a long time. We are home to several world champions, pro athletes, and champions of life. Learn from and train alongside instructors and coaches with real-world ring experience. Momentum is contagious. Krudar is an Authentic Muay Thai Kickboxing fitness gym in Toronto, with two locations, one in Kensington Market and another one at Don Mills. 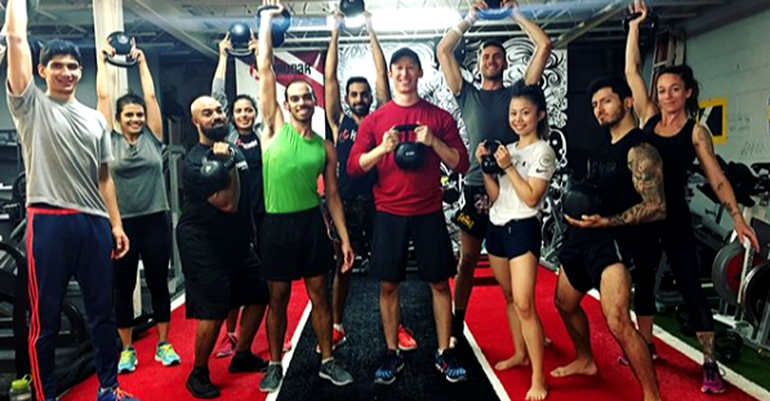 We offer classes for all levels (adults and kids) including Muay Thai, Bootcamp, Kettlebell, and Personal Training. ​Muay Thai is a sport form originated from the traditional Martial Art of Thailand, Muay Boran, which was taught to Thai military to use in warfare for many centuries. It began gaining international exposure and recognition during WWII when Thai soldiers were stationed overseas and captured the interests of the soldiers from abroad who asked to be taught the basics and traditions of Muay Thai. It has increasingly gained popularity as a martial art and also as a recreational sport around the world and has been developed and sanctioned globally by organizations such as IFMA. Today, Muay Thai is established around the world as a fitness form, as a ring sport, and as a form of self defense, with a promising future to become an Olympic Sport. Read more here. Kru Darwin Miranda, founder of Krudar Muay Thai started practicing Muay Thai 25 years ago. He studied under (Master) Ajan Suchart, a highly respected Muay Thai teacher who is known as the Grandfather of Muay Thai in Canada. After years of mentorship, training, fighting, and becoming a North American Champion, Kru Darwin opened a new studio in Downtown Toronto. In 2005, Krudar Muay Thai was born in a rundown warehouse on King St West with an almost impossible to find front door, paint falling from the ceiling, a washroom in the alleyway, and a shared space with a Brazilian Jiu Jitsu practice (rumour has it there may have even been a mushroom growing the shower). Krudar's first students fell in love with the grungy and raw atmosphere (and the hilarious stories that came with it) they came in each day bringing friends and family to join them in their practice. Most who came through the doors remarked at the incredibly genuine vibe that filled the cracked walls. Somehow, the down-to-earth authenticity and family-vibe was the perfect recipe for King West. While other gyms flashed fancy equipment and impressive business practices, Krudar built its foundation on true passion, connection of people, and quality Muay Thai classes. Determined to share the powerful transformational wisdom of Muay Thai, the team ran the bustling streets of King West proudly wearing their Muay Thai shorts as part of their training regimen. Shiny, eye catching (and never seen before) the shorts caught the eyes of the young professionals, artists, and baristas that roamed the streets and soon enough classes were packed. Over the years Krudar has been nothing short of blessed by wonderful people that have come through the doors - first on King St West, second at College and Spadina, third in Kensington Market, and most recently in the Don Mills area. 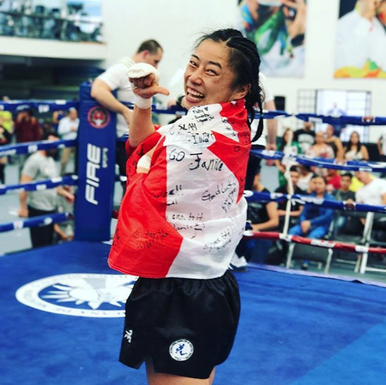 Over the years students have shared their passions, energies, and love of the sport thus growing Muay Thai and the community, gaining awareness inside and outside the ring in Toronto and around the world. In recent years, Krudar Muay Thai has been ranked Top Kids Fitness Class, Top Bootcamp, and Top Martial Arts in the city! As the school grew, Krudar's competitive fight team emerged and has since become home to World, National, and Provincial Champions. Classes are taught by experienced fighters, and practitioners and students have the opportunity to train alongside these inspiring fighters. However, Krudar is not only for fighters; it is fundamentally designed to help people live better lives through the beauty and art of Muay Thai. Krudar, more than anything, values building a strong and connected community who march forward in the face of adversity. This community is made of individuals who have taken on the journey of self-discovery and empowerment. People from all walks of lives enter the Krudar community for a variety of reasons, but ultimately Krudar is a place where people come to see what they are made of. A place where you get to explore and witness your mental and physical resilience, it is a place where you are encouraged to confront your perceived limitations and realize that you are in fact much stronger than you may think. Lastly, Krudar is a home to many undying spirits and human beings who have made the choice to become the Champions of their own lives.